First cut a 3" x 6" piece of purple card stock and fold it in half for the base, a 2 7/8" x 2 7/8" piece of patterned paper for the front layer, a 2 1/4" x 2 1/4" piece of purple for the image first layer and a 2 1/8" x 2 1/8" piece of pink for the image front layer. Then cut out the hearts with Stampin' Up! 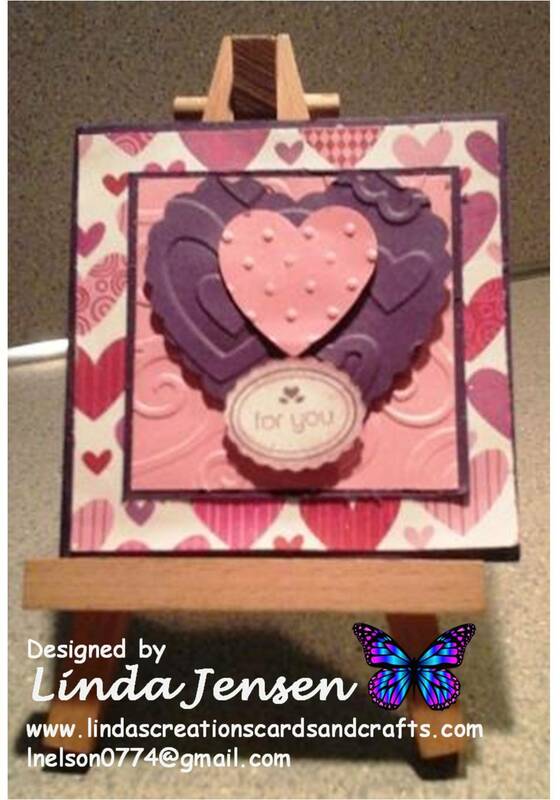 Hearts a Flutter Framelits Dies and dry emboss them with Darice Layered Hearts and Cuttlebug Swiss Dots embossing folders. 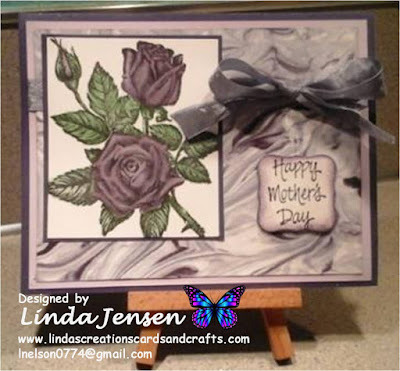 Next emboss the pink card stock with a Cuttlebug D'Vine Swirls embossing folder and attach it to the purple card stock then to the front layer. Then stamp the sentiment on white card stock with Stampin' Up! Perfect Plum ink, cut it out and sponge the edges. Next attach the hearts to each other then to the front layer with mini pop dots. Then attach the sentiment with a mini pop dot, attach the front layer to the base and enjoy!